For the week of November 25, 2018, there were a total of 195 condo and co-op closings in Manhattan totaling to $503,827,443. 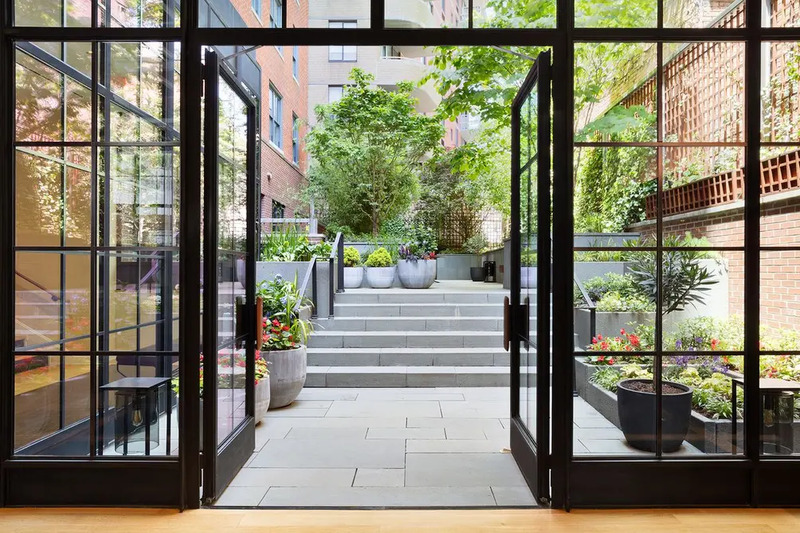 Unlike last week, the top ten closings came within buildings from a variety of neighborhoods that include Tribeca, the West Village, and the Upper East and West Sides. 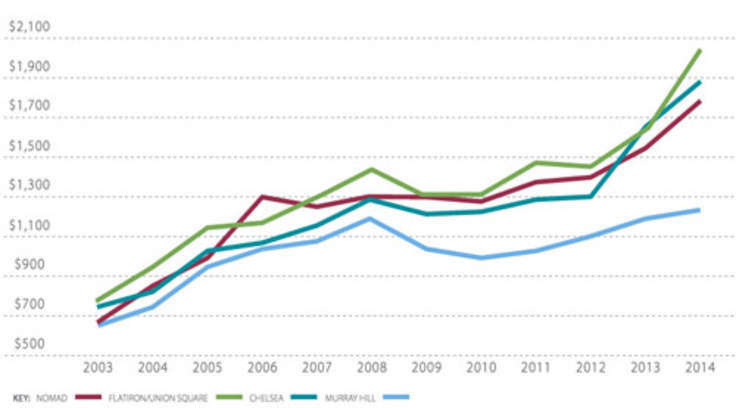 The 91 condo sales came in at an average of $3,956,825 or $1,771 per ft². The 105 co-op sales came in at an average price of $1,406,793. Once again, for the third week in a row, the top sale came within the Zeckendorf-developed 520 Park Avenue . 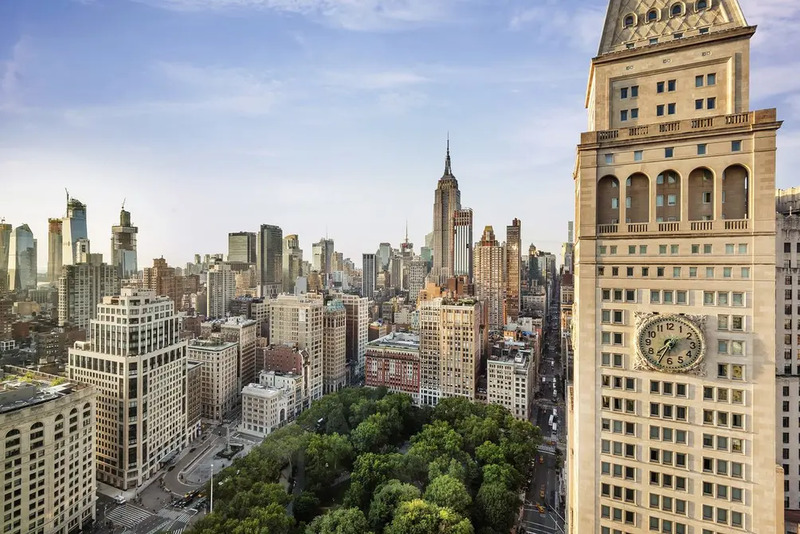 The sale is the highest known price paid in the building so far and is the most expensive deal in Manhattan this year (the eighth most expensive ever). The mystery purchaser will join other very well-heeled buyers such as investment banker Ken Moelis, James Dyson, and Bob Diamond, former CEO of Barclays. Find all recorded transactions in the table and map at the bottom of the page. Duplex penthouse delivers the dream of living in a true New York house. This full-floor, two-story home features a sweeping central staircase and is laid out with classic enfilades that create open vistas to other rooms. 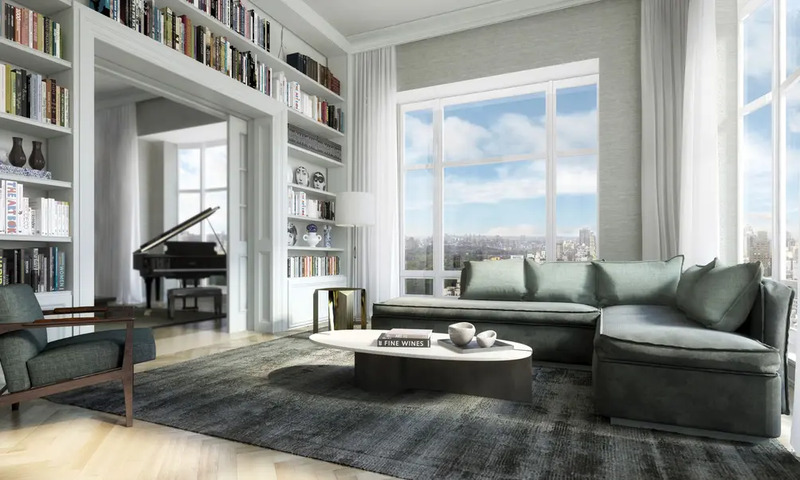 Large-scale windows and high ceilings bring ample natural light into the residence and frame the spectacular, 360-degree views of the sparkling Midtown skyline to the south and the calming, lush Central Park to the north. Additionally, 279 feet of private outdoor space looks out on panoramic views. This exceptional residence is being sold inclusive of a 379 square foot service suite (Unit 28K) and the building’s largest private temperature controlled wine cellar that holds 1824 bottles. This 4,019-square-foot, three-bedroom plus library home occupies the entire western half of the 72nd floor with views to the north, west and south. The residence features twelve 10’ x 10’ windows, 12’6" ceilings and eight large closets. 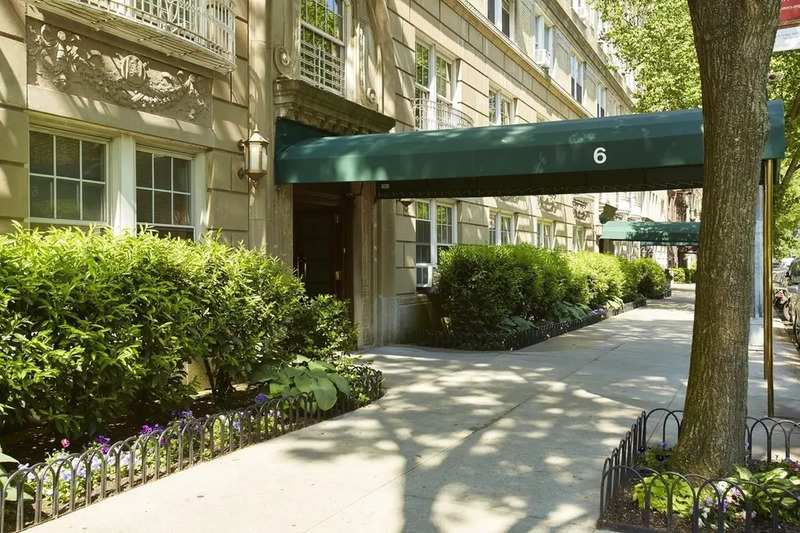 After entering the private vestibule from the elevator, the foyer leads to the grand living and dining space with picture windows looking out over Central Park, the Reservoir and the George Washington and Triborough Bridges. Off the living area is a generous chef’s kitchen which features a built-in marble countertop overlooking Central Park and the city. The kitchen is replete with Miele appliances including stove, gas cooktop, dishwasher, built-in coffee system, warming drawers, speed oven, dishwasher and wine storage. The library/home office is located directly off of the foyer and leads you, past two separate master bathrooms and a walk-in-closet, to the master suite. Both bathrooms are outfitted in Italian Statuario marble, heated floors, and steam shower. One of the bathrooms features a soaking tub with sunset views to the west overlooking the Hudson River and beyond. The master bedroom is situated in the southwest corner of the building. Views of the Empire State and Chrysler buildings, from all of the bedrooms facing south, frame a visual city landscape. The additional two bedrooms each have en suite marble bathrooms. The residence comes full circle with the bedroom wing connecting to the foyer, powder bathroom and private laundry. Masterfully and meticulously renovated by William Sofield, each room of this Carlyle tower apartment offers spectacular light and unimpeded views of Central Park and Manhattan. This gracious, light-flooded apartment is comprised of 4 bedrooms and 4.5 bathrooms. Extraordinary building services and amenities include: twice-daily maid service, Cafe Carlyle, Bemelman's Bar, the Carlyle Restaurant, in-home catering, and 5 star hotel services such as florist, beauty center, business center, laundry, valet, garage, a world-class spa and gym and complete security. The Carlyle's dedicated concierge staff is ready to assist with any of your needs. An enduring landmark since 1930, the Carlyle offers the most discriminating purchaser all of the amenities of a 5 star hotel combined with the intimacy of a home on the Upper East side of Manhattan's most desirable neighborhood. This prime location at 76th and Madison, within Museum Mile offers every conceivable amenity, unsurpassed elegance and the ultimate in luxury. One block from Central Park, in the midst of fashionable boutiques and surrounded by the city's best restaurants, the Carlyle has traditionally been the home of presidents and royalty, celebrities and captains of industry, as well as individuals seeking privacy and anonymity. 6 Available Listings from $2.295M. Perched at the nexus of Flatiron, Gramercy, NoMad and Chelsea is this full-floor, 7-room residence spanning 3,310 square feet. 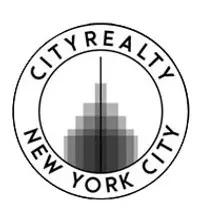 This 4 bedroom, 4 full bath and 1 half bath home's unique features include 2 private-keyed-elevators and floor-to-ceiling walls of windows affording iconic unobstructed 360-degree views of the Manhattan skyline. Enter through the private vestibule and into the impeccably redesigned home by Workshop/APD adorned in 9-inch wide ebonized oak floors, venetian plaster walls, and high gloss cabinetry. Be greeted by the expansive 27-by-16-foot great room, affording the ideal spot to entertain and enjoy the breathtaking, panoramic sunset views. The open chef's kitchen is replete with Calacatta marble countertops, integrated Gaggenau appliances, and a Dacor convection oven. The 16-by-15-foot master suite is graced with northern exposures and iconic New York City views. Special features include a gracious walk-in closet and four additional closets. Unwind in the en-suite bath evoking spa-like features designed by Yabu Pushelberg and bedecked in Italian travertine, complete with a Carrera marble counter-top double vanity, deep-soaking tub and separate shower. All the bedrooms are sun-drenched through floor-to-ceiling windows. Each room is appointed with an en-suite bath clad in Italian travertine, Carrera marble, and radiant floor heating. The home boasts approximate 10-foot ceilings and features a Bosch washer/dryer, central heat/AC, sound system, and Lutron lighting. A private 41-square feet storage bin conveys with sale. There is a tax abatement in place until June 30th, 2020. 2 Available Listings from $11.95M. Penthouse D expands over three floors and features 5,000-square-feet of interior and over 1,000-square-feet of PRIVATE OUTDOOR SPACE. This one of a kind penthouse has the flexibility to be a 4 bedroom, while still offering 4 full baths and a separate powder room. A key-locked elevator opens into a marble tiled foyer, which welcomes you into the bright and oversized great room that has space for a living room, den and dinning area. This incredible area boasts double height ceilings with seven south-facing windows, a marble encased gas fireplace, and reclaimed wooden beams that stylishly frame the space. A 2-inch-thick single slab of Calacatta marble over the eat-in island catches the eye upon entering this impressive, open chef's kitchen. There is a 48-inch-wide vented six-burner Wolf range with a griddle/grill section, a pot filler, dual ovens, a built-in Miele coffee maker, a convection microwave, two dishwashers, a hidden Gagganeou wine fridge with storage for 70 bottles, a 36-inch-wide side by side subzero fridge and freezer, and ample storage space. Also included on the main level is a windowed home office and a large bedroom with en-suite bathroom and separate changing area. In addition, there is a windowed powder room and laundry room that has a vented washer/dryer, work sink and extra cabinets for storage. The south facing master bedroom on the second floor of the triplex is bathed in natural light, has multiple closets and an en-suite east-facing bathroom that is adorned with Italian Calacatta marble slab walls. There is also a freestanding egg tub, a glass-enclosed steam shower with overhead rain dome, body sprayer, a relaxing stone bench, radiant heated floors, two sets of bronze faucets and a separate W.C. with bidet. This floor also has another bedroom with en-suite bathroom and what is currently set up as a den with a full bath just steps away. The top floor of 443 Greenwich is surely the crown jewel of the home and features a sprawling room, encased in floor to ceiling glass doors that open effortlessly to the expansive private outdoor roof terrace. This 1,000+ square-foot space has a built out kitchen section featuring a natural gas Wolfe BBQ grill, sink, fridge and a separate garden area. 5 Available Listings from $6.9M. 1 Available Listing for $4.5M. 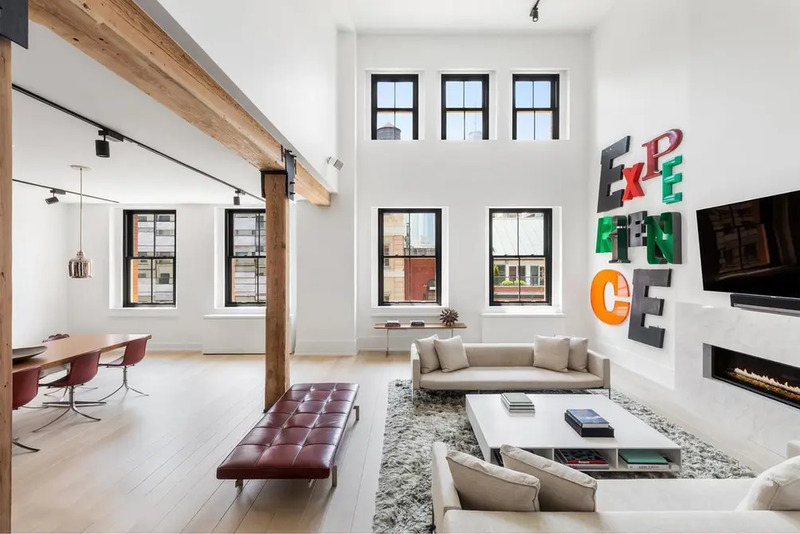 An exemplary Tribeca living experience awaits in this 3,888sf, 3-bedroom, 3.5-bath loft residence at the fashionably reimagined 11 Beach condominium. An elegant entry gallery leads to the 31' x 32' Great Room with open Western city views that effortlessly adjoins to the gracious, open eat-in chef's kitchen with breakfast bar. The luxurious grand master bedroom features a spacious dressing room, an enormous master bath with double vanities, soaking tub, separate shower, and private water closet. Two additional bedrooms each feature en suite baths. A graceful Powder Room and full Utility Room with sink and washer and vented dryer complete this residence. 3 Available Listings from $6.995M. Residence 3C is located in the iconic southwest curve of The Shephard. This 3,134-square-foot corner three-bedroom, three and a half bath apartment has southern and western exposures with 14 oversized windows which provide treetop views and light all day long. The windows are all exterior, facing out onto tree lined West Village streets and charming views. The spacious corner living/dining room has a loft like feel with an open kitchen that is gracefully tucked partially away. 5 Available Listings from $1.885M.